Jamie's Italian Restaurant (1 review) one of Jamie Olivers awesome Italian restaurants. We reckon this is the best restaurant in Indonesia. Amazing Italian food and awesome service. Located at the Hard Rock Hotel just around the corner from Kuta Beach. 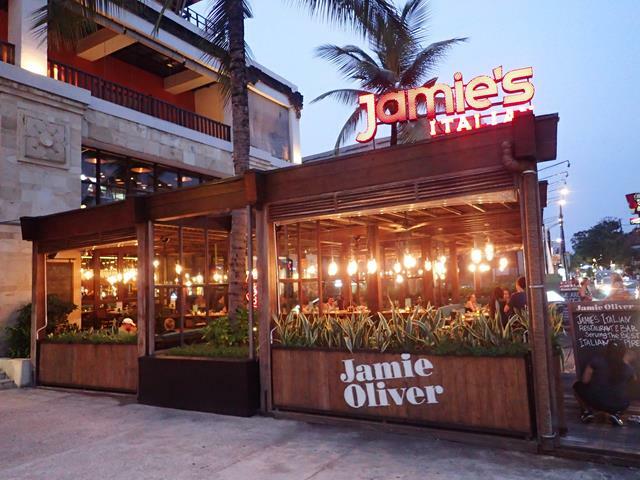 Check out more photos and restaurant reviews of Jamie's Italian Restaurant Kuta Beach. 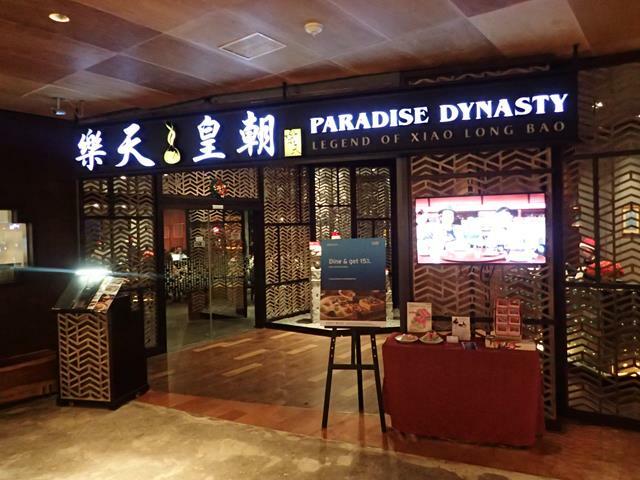 Paradise Dynasty Chinese Restaurant (1 review) Ground Floor Beach Walk Shopping Centre Jalan Pantai Kuta Beach Bali. Has a range of traditional Chinese food, specialises in Shanghai Soup Dumplings (Xiao Long Boa) and hand made noodles (Lamian). For more photos and restaurant reviews for Paradise Dynasty Chinese Restaurant click here. Made's Warung (1 review) Jalan Pantai Kuta, located away from the beach close to Jalan Legian. 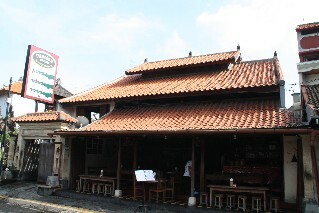 Made's Warung has been serving traditional Indonesian and Balinese at this location since 1969. Also on the menu is a choice of Japanese and Western food. 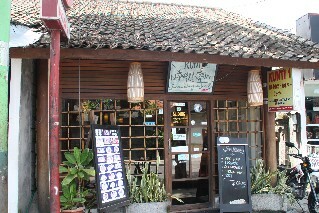 For more photos and restaurant reviews for Made's Warung Kuta click here. Club Havana Latin American Restaurant (1 review) serves Cuban food, Central American Tapas, Mexican food, burgers, pizza and some Asian dishes. Located on Poppies Lane I. For more photos and restaurant reviews for Club Havana Restaurant and Bar click here. Kori Restaurant and Bar (1 review) serves modern international cuisine - seafood, succulent grills. 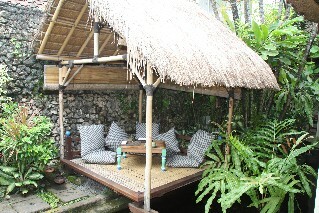 Set in a beautiful Balinese setting. A good selection of International wines are available. Located on Poppies Lane II. Ph: +62 361 758 605. For more information, photos and restaurant reviews for Kori Restaurant click here. 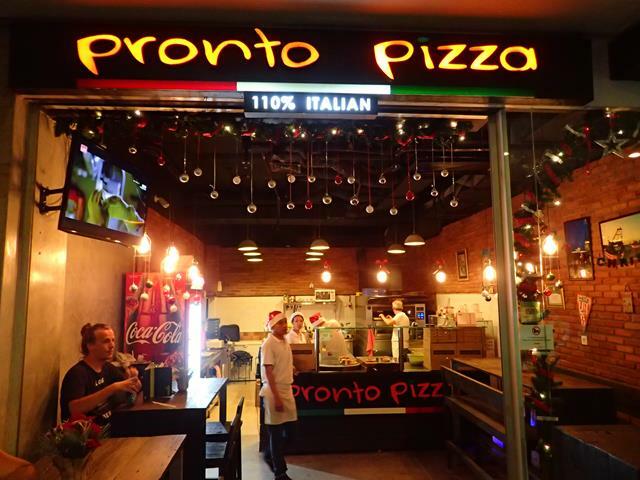 Pronto Pizza 110% Italian Restaurant (1 review) Poppies Lane I Kuta, serving the Best Pizza in Kuta and Bali. A traditional Italian pizzeria with an Italian chef, Guiseppe. 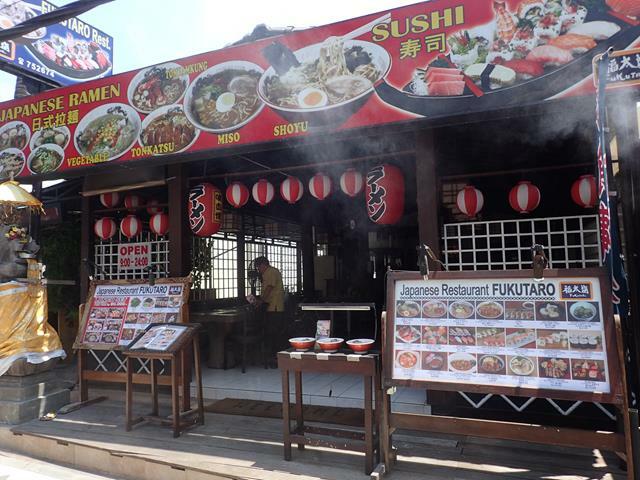 Located just around the corner from Kuta Beach. For more photos and restaurant reviews for Pronto Pizza click here. Kunti Japanese Restaurant (1 review) Jalan Raya Legian No 14 Kuta Bali Ph: 761 454. Open for lunch and dinner 7 days a week. For more photos and restaurant reviews for Kunti Japanese Restaurant click here. Tony Roma's Restaurant (1 review) Level 1 Beach Walk Shopping Centre Jalan Pantai Kuta, located directly across from Kuta Beach, next to the Sheraton Hotel. World famous ribs, seafood and steak restaurant. 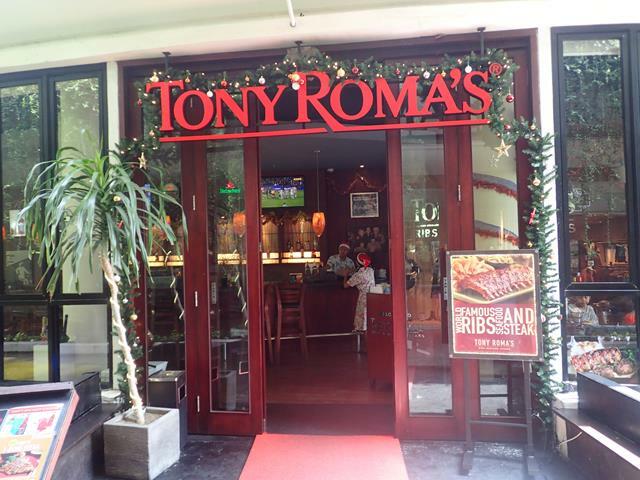 For more pictures and restaurant reviews for Tony Roma's Restaurant Kuta click here. 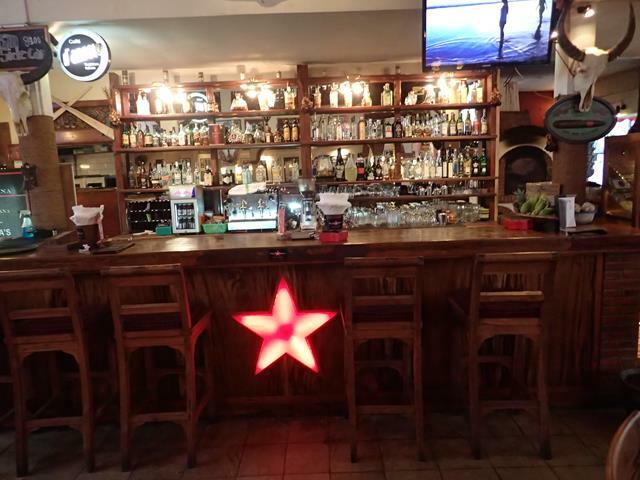 TJ's Mexican Bar and Restaurant (reviews) Jalan Poppines I No 24 Kuta. Serving California Mexican food including steaks, baby back ribs, tacos, fajitas and loads more great Mexican food. TJ's was the first Mexican restaurant in Bali, opening in 1984. 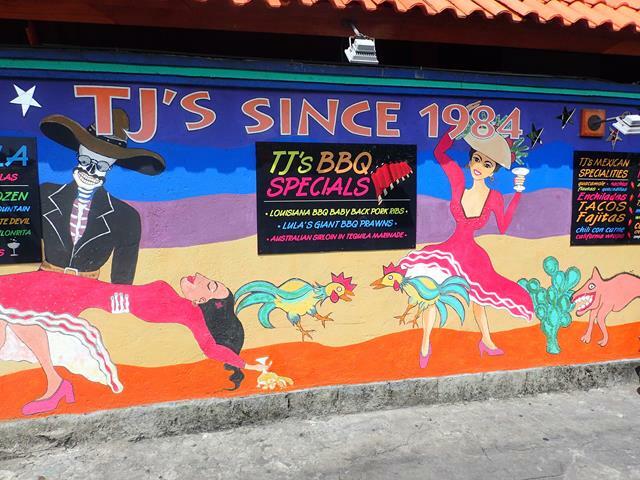 For more photos and restaurant reviews for TJ's Mexican Restaurant click here. 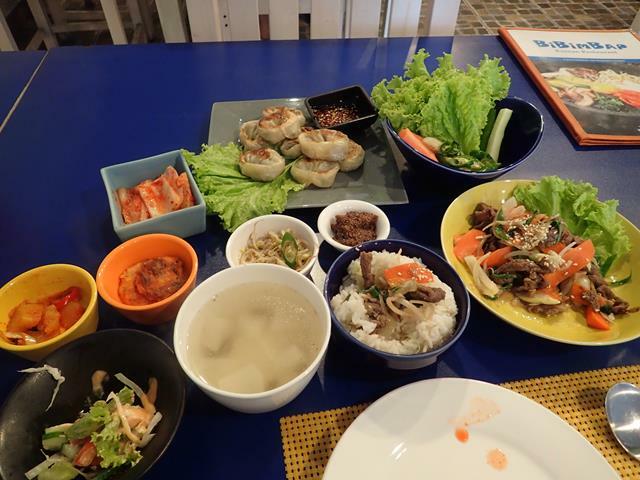 Bibimbap Korean Restaurant (1 review) Jalan Bypass Ngurah Rai No 120 Kuta, located at the northen end of Kuta, around 20 minutes walk from Kuta Beach, traditional Korean food including Bibimbap and beef bulgolgi. For more photos and restaurant reviews for Bibimbap Korean Restaurant click here. 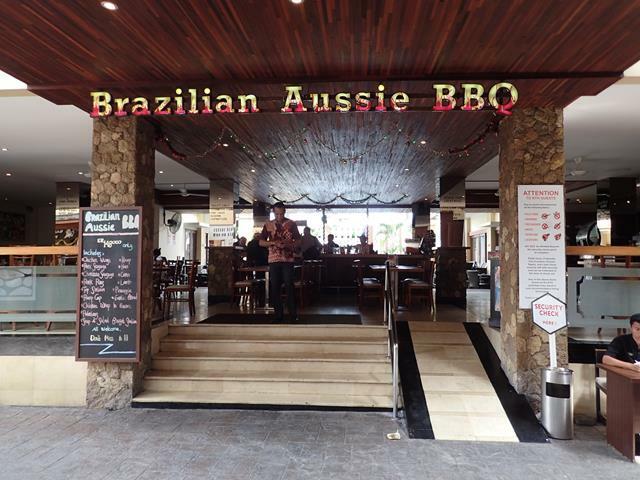 Brazilian Aussie BBQ Restaurant (reviews) located at the Kuta Town Houses on Jalan Dewi Budi Wijayantie in between Poppies Lane I and Poppies Lane II. All you can eat Brazilian churrasco BBQ and a selection of imported Aussie steaks. For more photos and restaurant reviews for Brazilian Aussie BBQ Restaurant click here. 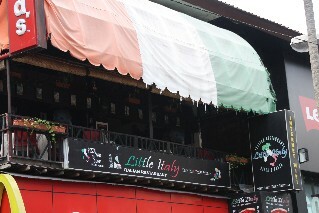 Little Italy Italian Restaurant (reviews) Jalan Bakung Sari Kuta Square Kuta Bali Ph: 752 154. Open for lunch and dinner 7 days a week. For photo and restaurant reviews for Little Italy Italian Restaurant click here. 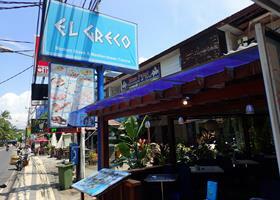 El Greco Greek Restaurant (reviews) Jalan Kartika Plaza No. A3 Kuta. Serving a range of traditional Greek food. Located just up from Kuta Square. For more photos and restaurant reviews for El Greco Greek Restaurant click here. Bubba Gump Shrimp Co Restaurant (reviews) Jalan Kartika Plaza No 8 Kuta Bali Ph: 754 028. Free WiFi available. Open for lunch and dinner 7 days a week. For photos and restaurant reviews for Bubba Gump Shrimp Co Restaurant click here. 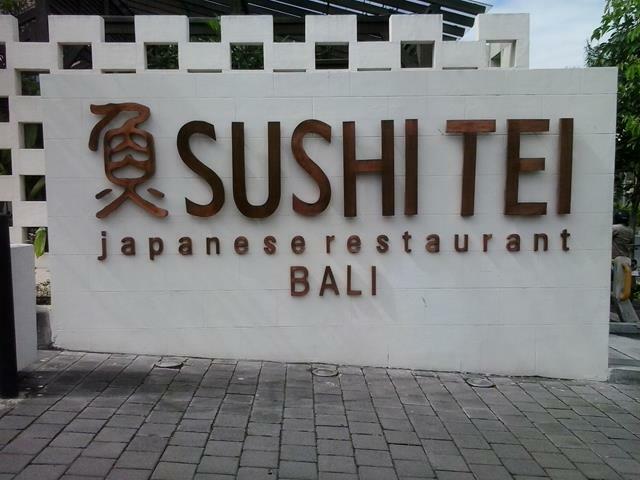 Sushi Tei Japanese Restaurant (reviews) Jalan Sunset No 99 Kuta Bali Ph: (0361) 847 7346. 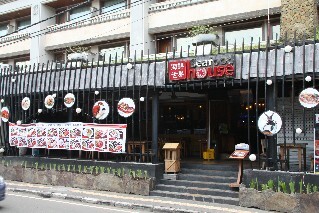 Located in the back sectio of Kuta, Sushi Tei is part of the Sushi Tei chain all over Indonesia and Singapore. Serving a range of fresh sushi and sashimi and other Japanese dishes. For more photos and restaurant reviews click here. 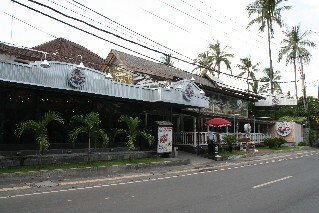 Gateway of India Restaurant Jalan Pantai Kuta No 11B (Bemo Corner) Bali Ph: (0361) 754 463. Open 7 days a week for lunch and dinner 11am - 11pm. Fukutaro Japanese Restaurant (1 review) Jalan Kartika Plaza Kuta Centre Kuta Ph: 752 674. Open for lunch and dinner 7 nights a week. Just along from Kuta Square on the way to Waterbom water park. For more photos and restaurant reviews for Fukutaro Japanese Restaurant click here. Seafood House Chinese Restaurant (reviews) Complex Kuta Side Walk Kartika Plaza Street Kuta Ph: 763 900. Open 7 days a week from 11am till midnight. For photos and restaurant reviews for Seafood House Chinese Restaurant click here. Sarong Restaurant described as Bali's newest uuber-groovy restaurant servicing a mixture of modern Asian food including Sumatran chicken and tandoori.